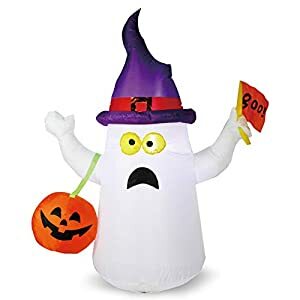 5 ft Tall Adorable Ghost with Jack O Lantern Bucket and a Flag. Goofy Spooky Convenient Halloween Holiday Garden Statue. Super Bright LED Lights Built Inside. Light up in the Evening for the Best Attraction to Neighbors and Guests. Perfect for Halloween Outdoor Yard Garden Decorations. Trick or Treat Event Decoration, Halloween Night Event. 30 by 72 Inches. Larger than Other Brands. Fit Better to Most American Family Doors. Unique Spooky Design. 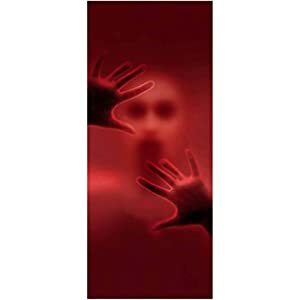 Impressive Halloween Indoor Outdoor Door Cover Poster Decoration. Work Even Better as Window Covers or Glass Door Covers with Back Light Effects. 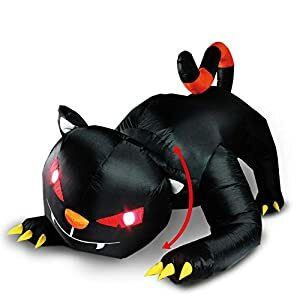 7 ft Wide Spooky Inflatable Pumpkin with Witch's Cat on Top. Goofy Spooky Convenient Halloween Holiday Yard Decoration. LED Swirling Lights Built Inside. Light up in the Evening for the Best Attraction to Neighbors and Guests. Perfect for Halloween Outdoor Yard Garden Decorations. Trick or Treat Event Decoration, Halloween Night Event. 6ft Tall Jack O Lantern in a Skeleton Costume with a Witch Hat. 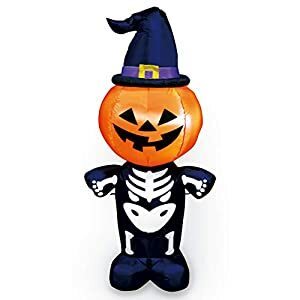 Cute but Spooky Convenient Halloween Holiday Garden Statue. Super Bright LED Lights Built Inside. Light up in the Evening for the Best Attraction to Neighbors and Guests. 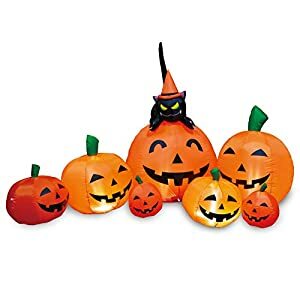 Perfect for Halloween Outdoor Yard Garden Decorations. Trick or Treat Event Decoration, Halloween Night Event.